FAYETTEVILLE, Ark. 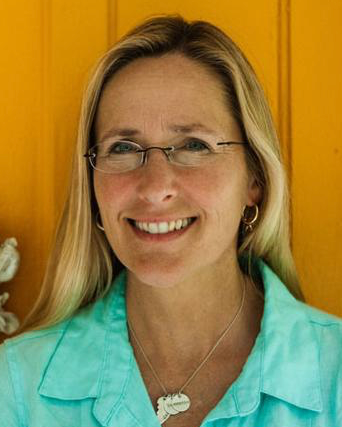 – Scarlett Lewis, founder of the Choose Love Movement and a related pre-K-12 curriculum, will give a free public lecture at 5:30 p.m. Monday, Nov. 12. Lewis' young son Jesse was killed in the Sandy Hook Elementary School shooting nearly six years ago in Newtown, Connecticut. This is the annual fall lecture presented by the University of Arkansas Department of Curriculum and Instruction. Monday's program is free and open to the public, with a reception from 4:45-5:30 p.m., immediately followed by the lecture and discussion, ending at 7. It will be held at the Don Tyson Center for Agricultural Sciences, 1371 W. Altheimer Drive in Fayetteville. Free parking is available. The Choose Love social and emotional curriculum teaches educators and their students how to become connected, resilient and empowered while creating safer, more peaceful and loving schools. The evidence-based program is offered free of charge through the Choose Love program's website. Lewis founded the Jesse Lewis Choose Love Movement after her 6-year-old was murdered in his first-grade classroom on Dec. 14, 2012. Jesse reportedly shouted at his classmates to run for safety, and several did. In all 20 children and six adult staff members were slain at the school by 20-year-old Adam Lanza. Over the past five years, Scarlett Lewis has traveled worldwide on behalf of her program, writings and the curriculum. The program focuses on the character values of courage, gratitude, forgiveness and compassion in action, which cultivate optimism, resilience and personal responsibility. Included elements are positive psychology, mindfulness, neuroscience and character values. For more information, contact Haley Carney, 479-575-7244, hshimer@uark.edu, of the Department of Curriculum and Instruction.